Welcome to the OAO blog! Learn more event details in the categories below, or by using the search bar. 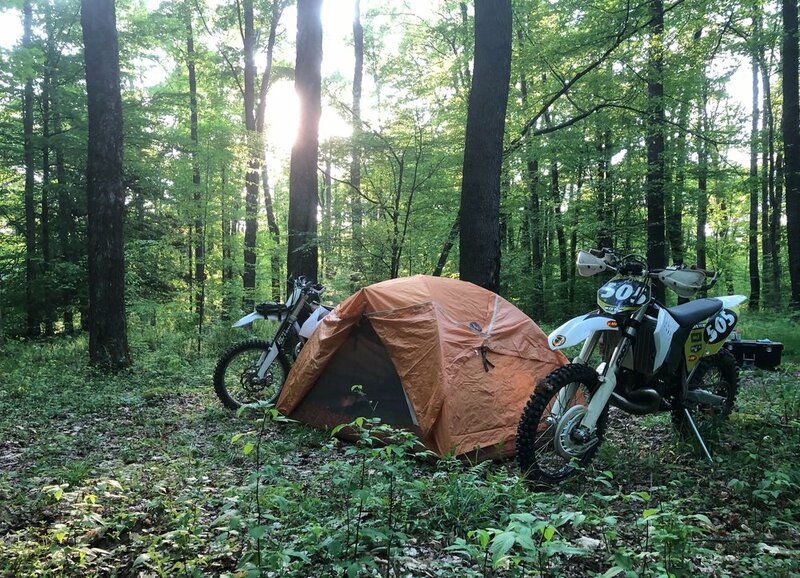 Our #fastfriend Meghan Milligan is no stranger to a moto-camping trip, and she put together a thorough packing list for all of us with all her top recommendations! Get ready to load up your bikes, trucks and trailers and say #overandout as you head off to our first ladies-only event! Riding Gear - Whether you’re taking it easy on the grass track or rippin’ through the woods, make sure you have the appropriate gear to avoid injuries! Check the event page for details on required gear. Socks (be sure to bring extra)! Hydration Pack — Not only are packs convenient to stay hydrated during riding, but a great way to carry snacks, phones & more. Camping Gear - Everything you need to be comfortable and have a great time! Solar showers can come in handy! Fill it with water, leave it out in the sun to get warm! Battery Pack - The camp site has no power (& no hook-ups) so bring a battery pack to charge your phone or other devices. There is cell service on the mountain! Trash bags - You are responsible for your own garbage so bring some bags so you can haul it out when you leave. Also good for packing up wet or dirty gear. CASH!!! Raffle, Merchandise and On-site Food (details coming) will be CASH ONLY. Groceries - A delicious, healthy and locally prepared boxed lunch on Saturday 6/23 is included with your ticket, thanks to our amazing sponsor REV’IT! WATER - for drinking, rinsing and washing. Hanover Powersports will be able to assist with minor repair or maintenance issues on-site. Please bring a credit card in case you need a service that they will need to charge for. We'll be sending out the full schedule for lessons and guided dual sport rides, plus a detailed post on on-site food options this week!